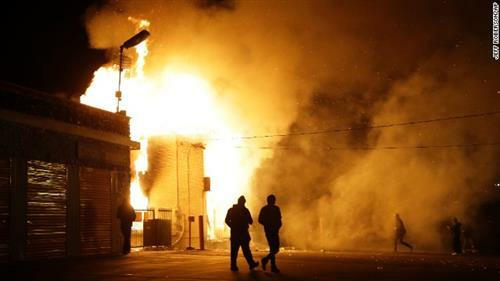 Ferguson, Missouri, erupted after a prosecutor announced Officer Darren Wilson would not be indicted in the August 9 death of Michael Brown. 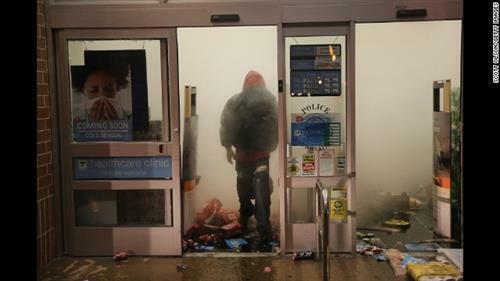 Though many peaceful protesters took to Ferguson's streets, the images beamed out of the St. Louis suburb largely included looting, cars on fire, riot gear, gunshots and tear gas. 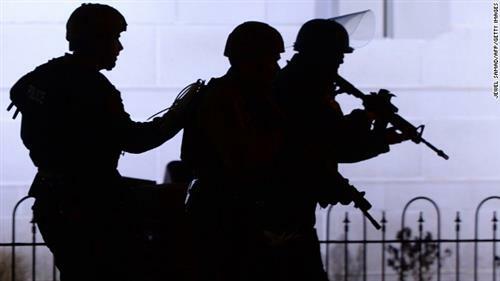 Officials say it surpasses the worst violence in the August protests that followed the shooting. 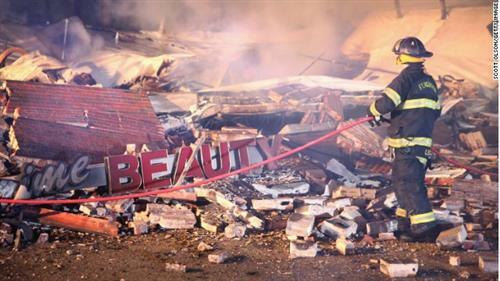 A Ferguson fireman surveys the rubble of a strip mall burned during protests. That's the building #HealSTL office was in. #Ferguson Ofcr Darren Wilson testified he had never fired his gun on duty before shooting Michael Brown. 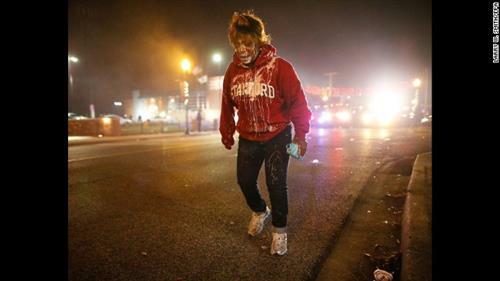 For updates on the grand jury's decision and the chaos that followed in Ferguson, please check out our main story. This blog won't be updated during the overnight hours. CNN teams are going through the transcripts and other court documents released after the grand jury's decision. There are 24 volumes of transcripts, including two volumes of transcripts for November 13. Here again is a link to Officer Darren Wilson's testimony. He says he shot at Michael Brown for a second time when Brown turned on him. "As he is coming towards me, I tell, keep telling him to get on the ground, he doesn't. I shoot a series of shots. 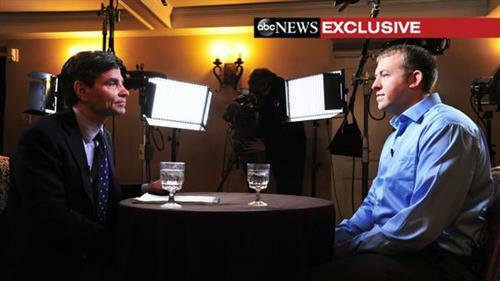 I don't know how many I shot, I just know I shot it," he says, according to documents released Monday night. "I know I missed a couple, I don't know how many, but I know I hit him at least once because I saw his body kind of jerk," he says. Wilson testifies that Brown did not slow down. "At this point, I start backpedaling and again, I tell him get on the ground, get on the ground, he doesn't. I shoot another round of shots," he says, according to the released testimony. "Again, I don't recall how many it was or if I hit him every time. I know at least once because he flinched again. At this point it looked like he was almost bulking up to run through the shots, like it was making him mad that I'm shooting at him. "And the face that he had was looking straight through me, like I wasn't even there, I wasn't even anything in his way." He told the jurors he thought Brown was going to tackle him. He said Brown's left hand was in a fist and his right hand was under his shirt in his waistband. Brown was "just coming straight at me like he was going to run right through me," Wilson says. "And when he gets about that 8 to 10 feet away, I look down, I remember looking at my sites and firing, all I see is his head and that's what I shot. "I don't know how many, I know at least once because I saw the last one go into him. And then when it went into him, the demeanor on his face went blank, the aggression was gone. It was gone, I mean, I knew he stopped, the threat was stopped." "When he fell, he fell on his face." 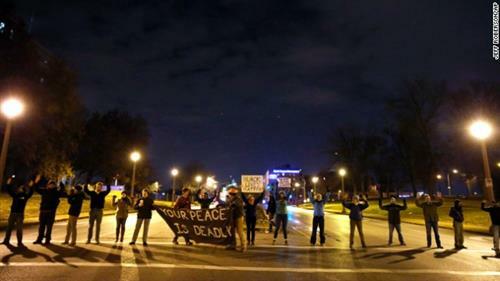 Click though the gallery to see overnight scenes out of Ferguson. "This ain't Iraq; this is the United States"
Demetric Whitlock yelled this to a line of police officers in front of the Ferguson Police Department. 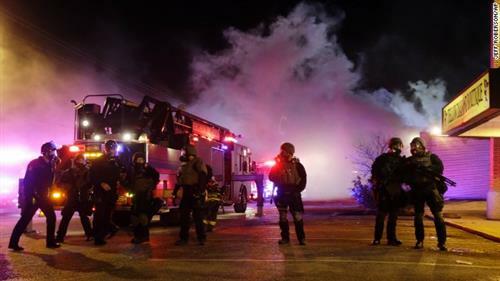 If you're just waking/catching up, you can scroll through the blog to see what happened in Ferguson overnight, or CNN's Holly Yan here in Atlanta and Moni Basu in Ferguson put together a nice story that will bring you up to speed. 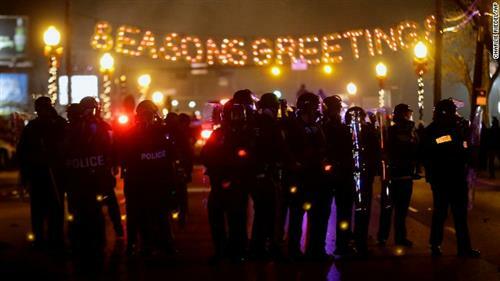 Even though it's Thanksgiving week, the turmoil in Ferguson and the surrounding area has shut down some schools. CNN affiliate KSDK provides a rundown of the closures. 6. Brown's death opened old wounds. 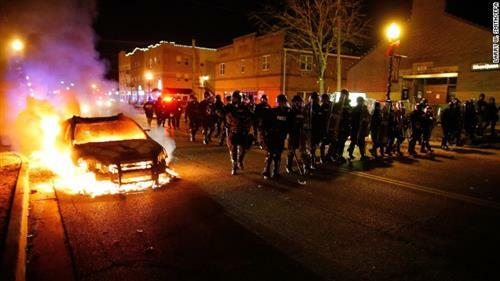 Much like violent protesters disregarded the Brown family plea to keep demonstrations peaceful, those same protesters ignored President Barack Obama, who asked demonstrators to channel their anger constructively. United Nations High Commissioner for Human Rights Zeid Ra’ad Al Hussein issues a statement on Ferguson and offers sympathies to he Brown family. I am deeply concerned at the disproportionate number of young African-Americans who die in encounters with police officers, as well as the disproportionate number of African-Americans in the U.S. prisons and the disproportionate number of African-Americans on Death Row. It is clear that, at least among some sectors of the population, there is a deep and festering lack of confidence in the fairness of the justice and law enforcement systems. I urge the U.S. authorities to conduct in-depth examinations into how race-related issues are affecting law enforcement and the administration of justice, both at the federal and state levels. 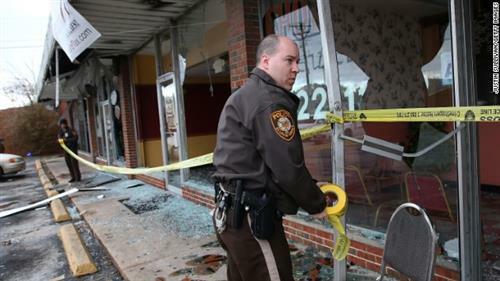 Looters broke into two gun shops Monday night in St. Louis, but they did not manage to get anything, law enforcement officials say. This has been a concern to Bureau of Alcohol, Tobacco, Firearms and Explosives agents and other law enforcement officials, who warned gun dealers to make sure their weapons were secure. 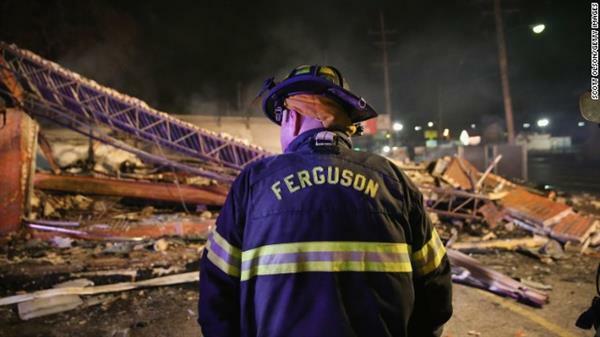 Click through the tweets to see Ferguson, the morning after. In August, CNN's Ed Lavandera, Jason Morris and I visited Ferguson Burger Bar & More to meet Charles Davis. 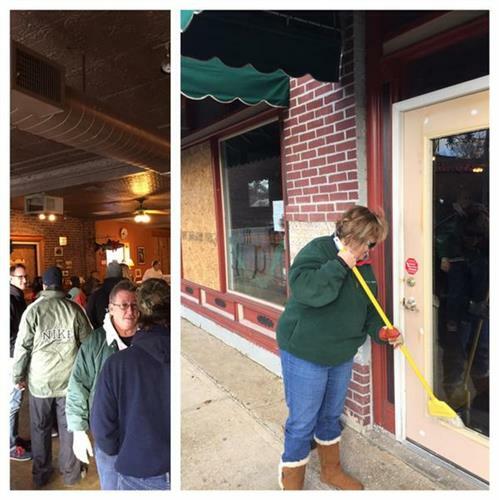 We'd heard Davis had opened his eatery the day before Michael Brown was killed, and despite the destruction to neighboring businesses, he decided to stay open and feed -- and at times, provide refuge to -- the protesters. It was a cool story, and Jason and Eddie put together a great package on Davis and the restaurant (you can check that out above). I included some of Davis' remarks in a text story on how Ferguson residents said they didn't recognize the town being shown on TV. Last night, Ed got worried when he saw a mob in the parking lot of the strip mall that houses Ferguson Burger Bar. He called me in Atlanta this morning, saying he was concerned about Davis. 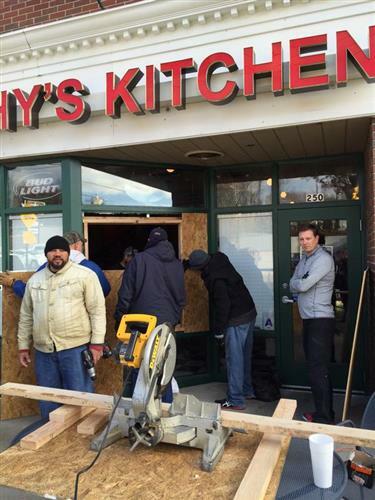 Because of the violence in the street, he said, he couldn't get close enough to see if the restaurant was damaged, and Ed told me this morning, "I don't know how (Davis) made it out." We haven't been able to touch base with Davis yet, but it appears that he successfully rode out yet another storm. Last night, someone posted to the burger joint's Facebook page, "We are okay...thankyou all," and today someone posted the restaurant's hours. Of further relief, CNN affiliate KSDK published a story this morning saying Davis' business went "unscathed" during a night of violence. She got a text several hours later saying her place had been vandalized and saw a Facebook video of protesters locking arms to stop vandals from causing more damage. She arrived this morning to find her people cleaning up. She tells CNN's Moni Basu that she was struck by the absence of the National Guard or any other federal disaster agency, and she's disappointed that authorities failed to keep the peace, especially after the governor declared a state of emergency. 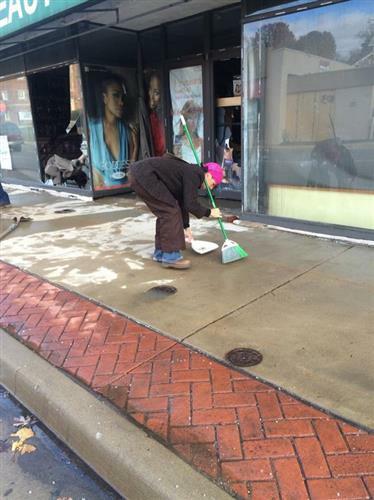 “I understand there is not a proper regard for African-American life in this country,” she said. “If (Darren Wilson) had been indicted, life would have moved on. But I have to believe the grand jury made the right decision." 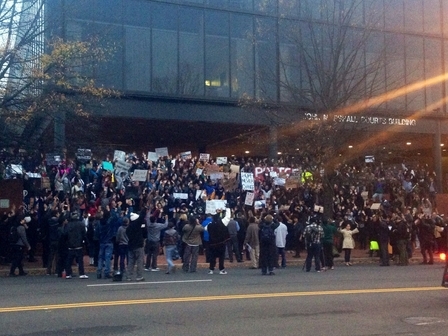 While the focus was on Ferguson overnight, protesters took to the streets in several U.S. cities. Watch the video to see scenes from various demonstrations. Here's the video of Michael Brown's stepfather inciting a crowd after the grand jury announcement. The Brown family reaction begins at 1:29. Family attorney Benjamin Crump has called the remarks inappropriate but the product of "raw emotion," and he asked that Brown's stepdad not be condemned "for being human." 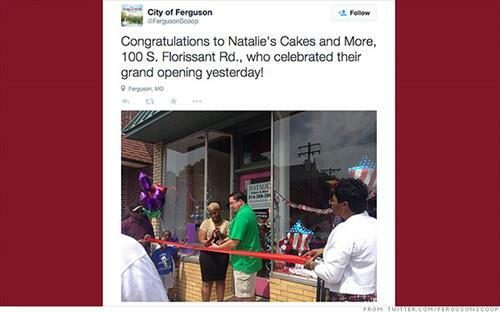 Natalie Dubose has no choice but to carry on, a day after rioters smashed the windows of her Ferguson bakery. After all, Thanksgiving is coming and she can't -- scratch that, she won't -- tell customers she's canceling. "I am a single mom, a mother of two," she said. "This is everything that I own. I can't walk away from it. I just got to start up and start baking again." 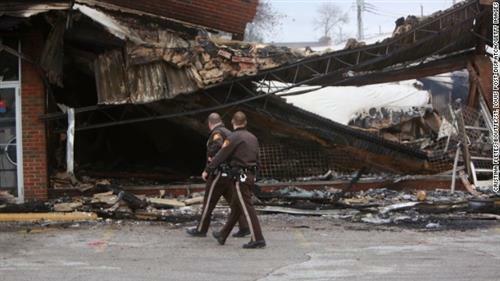 Ferguson residents woke up to find swaths of their town destroyed. 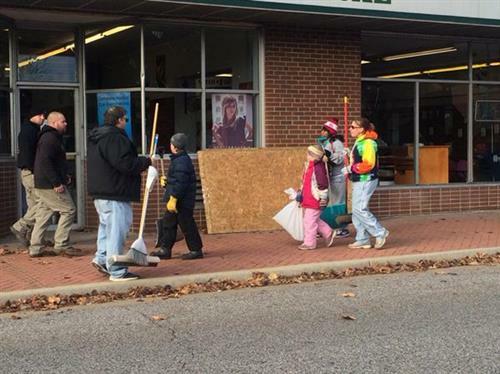 Click through the gallery to see images from in and around Ferguson today. "The decision to delay the deployment of the National Guard is deeply concerning. 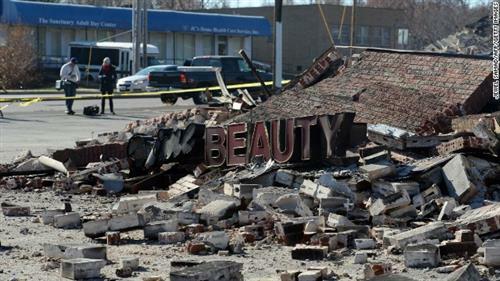 We are asking that the governor make available and deploy all necessary resources to prevent the further destruction of property and the preservation of life in the city of Ferguson," Knowles told reporters. White House staff have contacted Missouri officials and mayors across the country, White House spokesman Eric Schultz told reporters traveling to Chicago with the President. 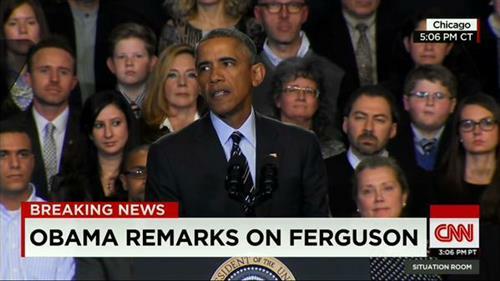 Senior adviser Valerie Jarrett spoke to Missouri Gov. Jay Nixon yesterday and today about Ferguson, and others have spoken with the state’s congressional delegation, Schultz said, according to CNN's Jim Acosta. The officer remains on administrative leave, pending the outcome of an internal investigation, Ferguson Mayor James Knowles told reporters. "No decision has been made. His current employment status has not changed," he said. I-70 has been reopened, but the entrance and exit ramps at this location are closed due to Downtown protests. 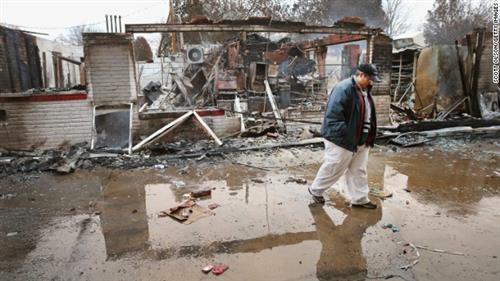 CNN's Ana Cabrera reports she received a text from a protester: ""We are shutting down 70 @ MLK bridge"
Cathy and Jerome Jenkins talk to CNN's Anderson Cooper about how the Ferguson community saved their diner from looters. Walter Brewer, who lost his twin brother not long ago, brought his son, Dante, to see the destruction on West Florissant Avenue. At the same news conference, St. Louis County Police Chief Jon Belmar notes his officers made 32 arrests for burglaries alone. There were 21 fires last night, he said. 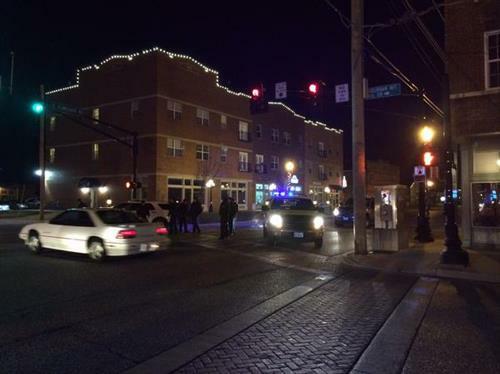 Three law enforcement officers were injured. Obama says he will be convening stakeholders to start figuring out steps to take to make sure law enforcement is applied fairly everywhere. CNN iReportAt 4:30 p.m. Tuesday, an ever-growing group assembled outside the John Marshall Courts Building in downtown Richmond, Virginia. Dorian Johnson, who was there the day his friend Michael Brown was killed, discusses the grand jury decision. 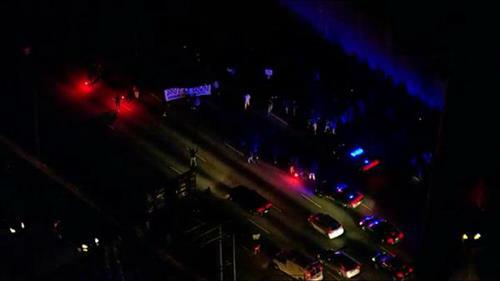 North/southbound Kingshighway and east/westbound Natural Bridge has been closed to traffic due to protests in intersection. 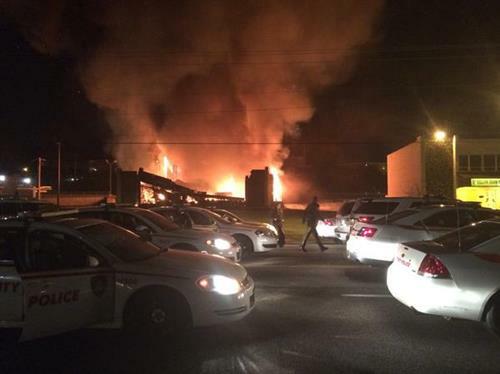 The police car set on fire was in front of the #Ferguson City Hall. It was destroyed.